This is my version of healthy Panettone with less sugar, butter and eggs. I got this idea from my sister who is a talented baker. 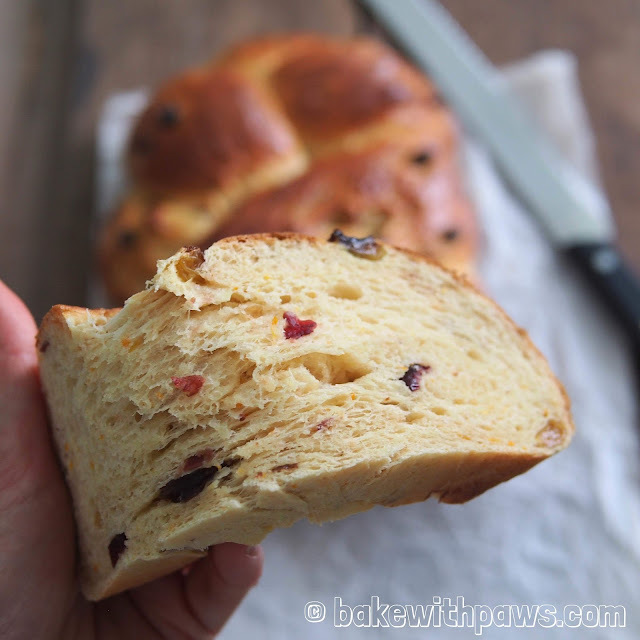 She baked some beautiful Panettone Buns for us when visited her recently. 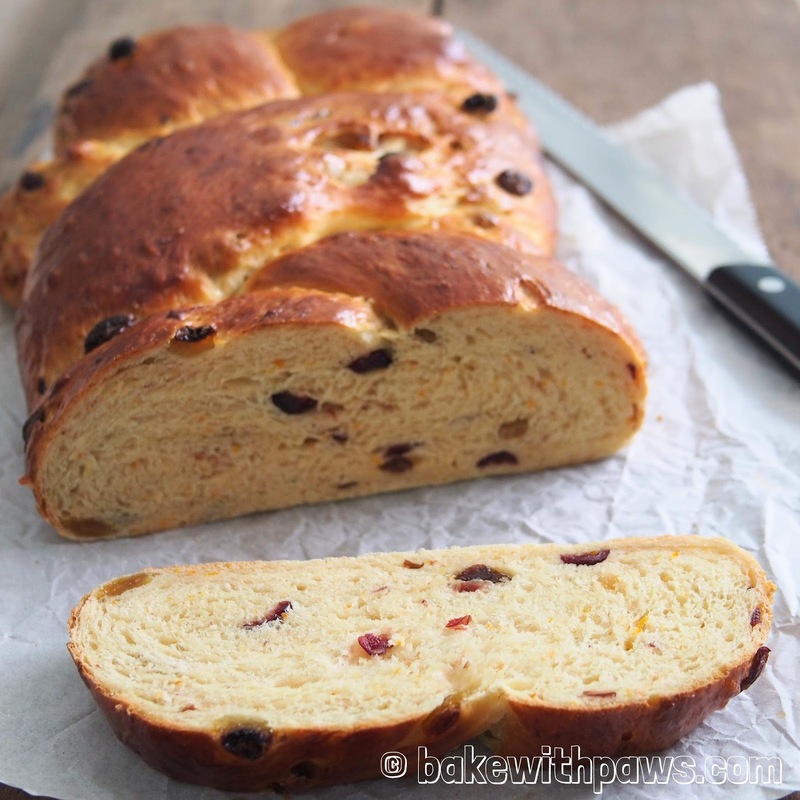 The sponge dough starter method yields a soft bread with a rich aroma. It smells heavenly! The night before, soak dried fruits and brandy in an airtight container. Put all ingredients except dried fruits (start with salt, flour, yeast, sugar, butter, egg, fresh milk, and sponge dough) into the bowl of stand mixer. Using the dough hook on a stand mixer, knead until the dough comes together and become elastic and tacky but not sticky. Tacky dough behaves sort of like a Post-it note, sticking to a surface but peeling off easily. It takes around 15 minutes. 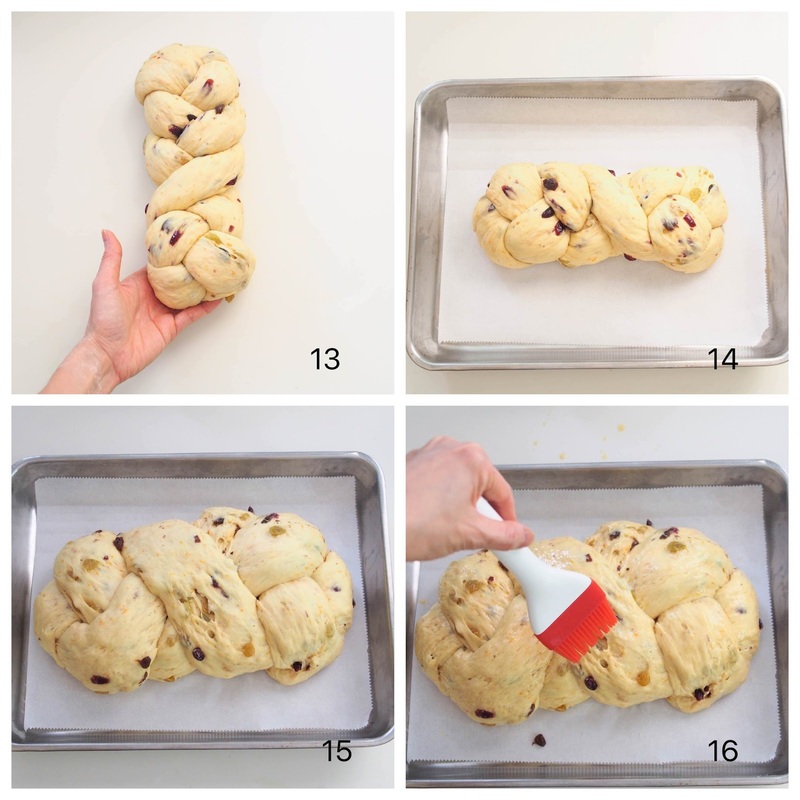 If the dough is too dry, add 1 tablespoon of milk at a time. Few minutes towards the end of kneading, add in soaked dried fruits. 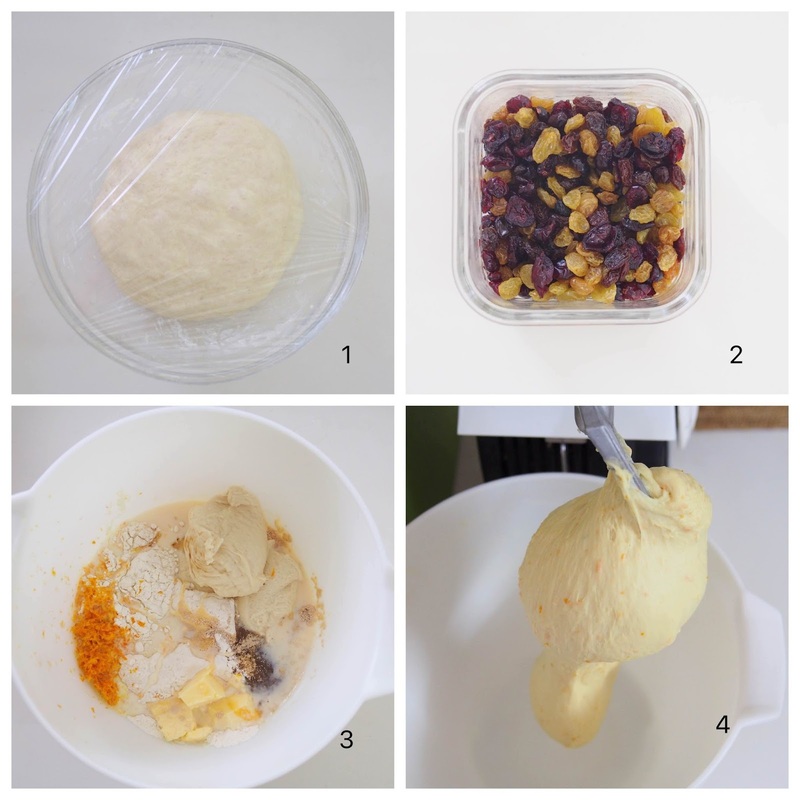 If the dried fruits not evenly mix, use your hand to knead until mix well. Punch down the dough to release the air. 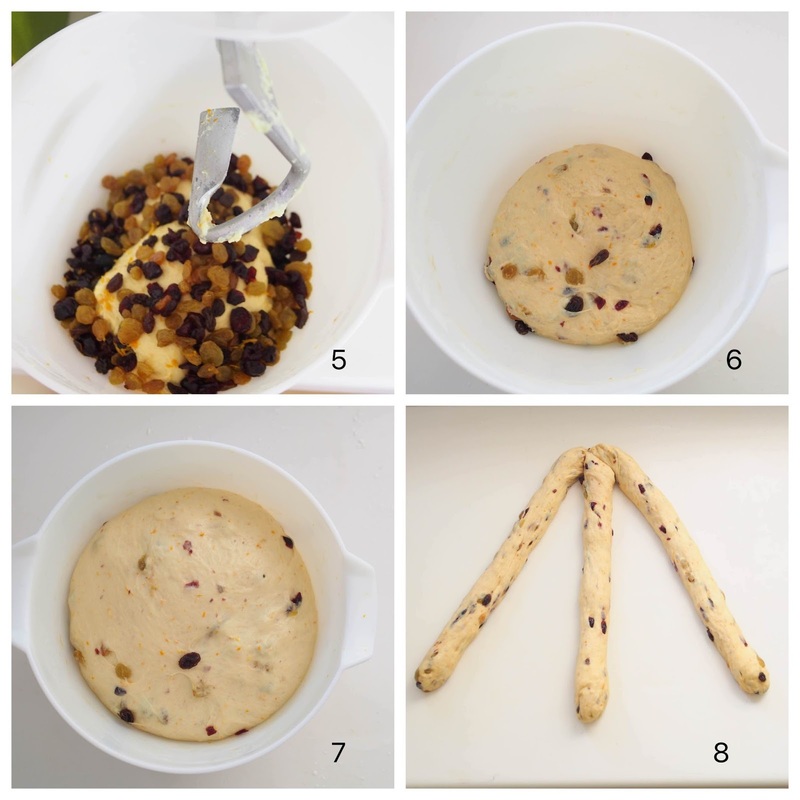 Transfer the dough to a clean floured surface then divide into 3 equal portions. Form each portion into a strand (about 12 inch long). 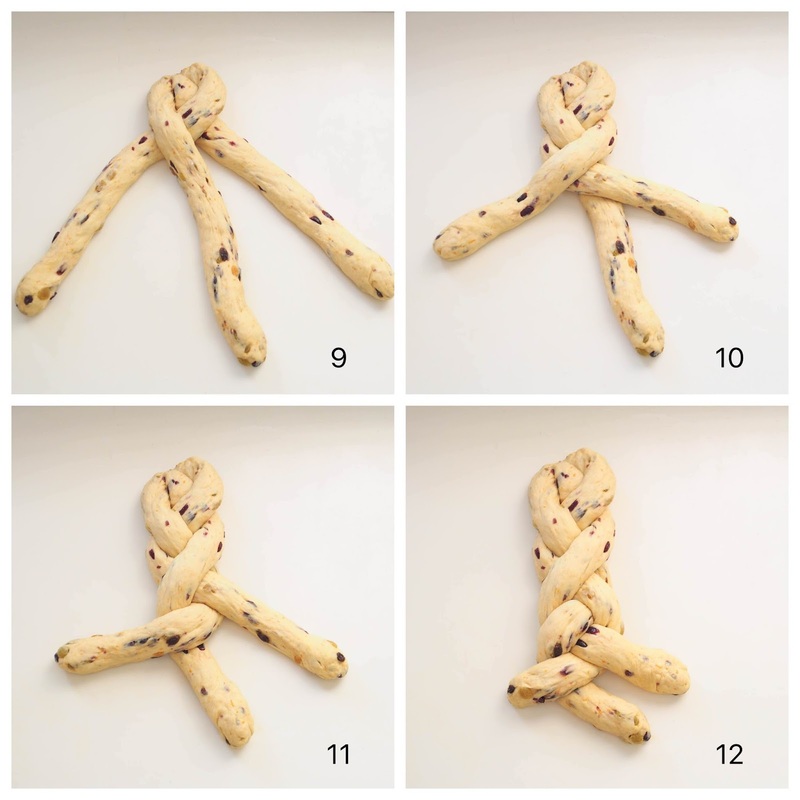 Braid the dough strands, pinch the end and tuck both ends under the bread. Transfer the bread onto the prepared baking tray. Brush with egg wash and sprinkle with rolled oats. Bake for 15 - 18 minutes, or until golden brown. Remove bread to cool on rack.